I have to say, not many things mesmerise me. But the product T444Z and the stories it’s been a part of have. 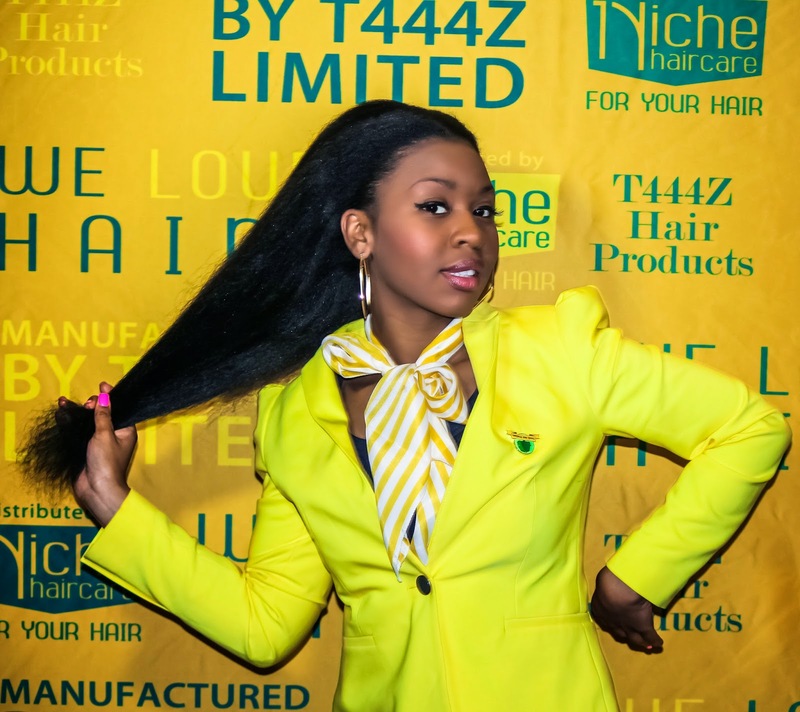 In April, Niche Hair Care (distributors of T444Z) officially launched the product in South Africa. I’m sure many of you have already heard of T444Z through other blogs, friends and colleagues. I can’t say that the product does what it says it does from my own experience as I have yet to fully try it, but I have to say that seeing the models who have all been using the product – it seems to work. I was most captivated by the founder and creator Senzani’s (aka Sandra) story of how the product came to be and the inspiration behind it. The event opened with a media breakfast where a select few of us shared some chatter over bites before listening to what Senzani had to say. 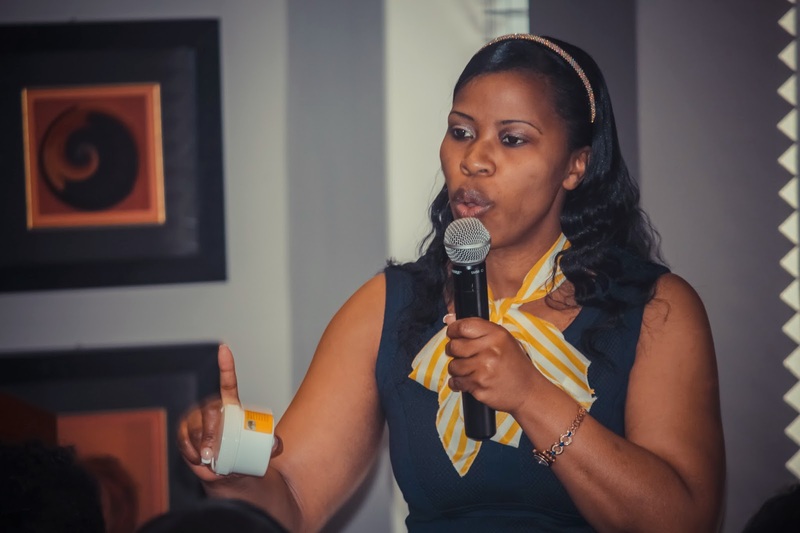 Senzani is Zimbabwean and is based in the UK. She came up with this product after the same frustrations many Black women go through. She was tired of the status quo: women doing everything they think they should grow long, healthy hair but the products available to them weren’t doing their hair any favours. She also couldn’t understand – or accept – that the Black hair industry isn’t being run by fellow Black people. She wanted to change that, so decided to take matters into her own hands and make her own product. Something for us, by us. But she knew she couldn’t just share a product that she wasn’t sure would deliver on the promise. So she tested, experimented and did other people’s hair for free – because she truly believed in helping others achieve their dream of healthy hair. And the proof, as they say, is in the pudding. Senzani’s not rocking a weave. That is her hair. she spoke so well and had many powerful words that sparked ‘aha’ moments. Applause, “yesses!” and “mmmhmm!” were abundant in the audience. And this is her daughter’s natural hair. Yes. All. Of. It. We were all invited to touch it to “make sure it’s real” lol. 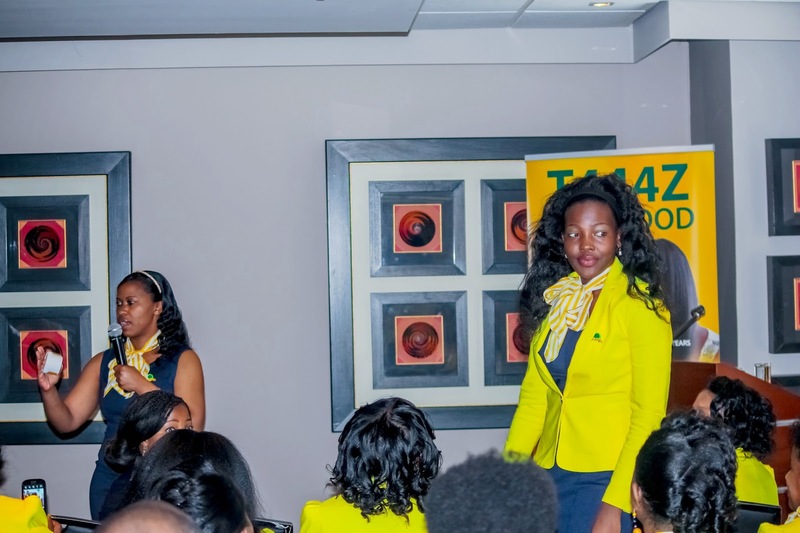 The event showcased 10 or so models – real women – who swear that their hair’s improvement and success is because of T444Z. Women with receeding hairlines, thinning hair, bald spots, dandruff, growth problems. All of them religiously used the product for the recommended time and method (at least once a week, massaging it in is a must) and they swear by only using this product. It’s said to show results in at least two months. 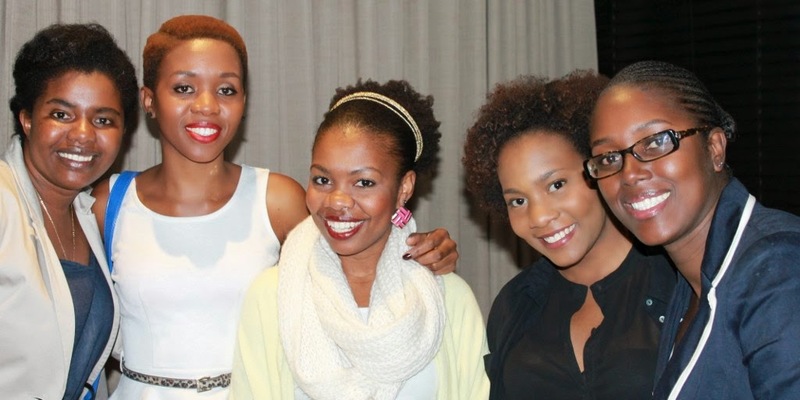 Senzani says the product targets at least 10 common hair problems amongst Black people. And it’s not just for women – men can use it too. It’s all-natural magic in a jar. Aloe, Herbal extract, Rose oil, Chamomile, Menthol, Rosemary Leaf Extract, Castor Oil, Peppermint, Papaya Extracts, Vitamin A, Carrot Extracts, Shea Butter and Essential Oils. So I grabbed myself a tub. What’s there to lose? And because T444Z’s so popular amongst Black women not by heavy advertising or media but by word of mouth. I think that says it all. Order your magic tub from Niche Hair Care and let people know! This was given to me as a birthday present last year and within 2-3 months of using it, my hair grew very thick. I could also see difference it made on the bald hairline behind my ears (was also self-conscious about that particular area). Great product 😀 I usually massage it onto my scalp when i do my cornrows as i find it easier to spread rather than when my hair is combed out. 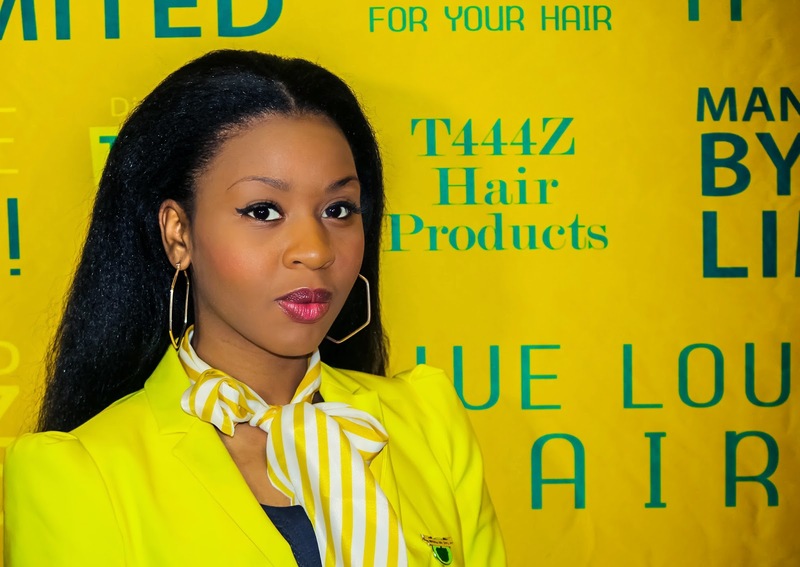 Bought T444Z for bald patches caused by tight braids. I saw results within 2 weeks (the texture of my hair improved tremendously as I previously had very thin hair). I am selling it now. I'm not only selling it to convince people to buy it, but I believe in the product because it has done wonders for me. My 2 daughters are also using it now and they are impressed because their hair is growing beautifully. Please do not change the ingredients of the product. It really does wonders. I bought my jar about a month ago at Phophotha in Musgrave Centre for R350. And I must say, I am slowly but surely seeing a difference especially in my (non-existent) hairline. It was not easy on the pocket but I do not regret splashing out on it. My hair looks healthier too. Cannot wait to see what the results will be like in a few months time. Love it!! Bought myself a jar a month ago – couldn't resist all the hype and stories hehehe… All I need now is a little commitment and patience. her daughters hair looks so good! I wonder if this will come to the US. btw, totally loving your hair wedding hair inspiration posts. Can't wait to see what you choose. I seem to be the only one that t444z has not worked for. I tried it for about 12 weeks and didn't see as much growth or improvement as it was claimed. I then stopped using and tried using castor oil as my growth aid and saw a major amount of growth. However i am willing to try it again and hope the first result was a fluke. Thanks for sharing that honest experience. I'm sure as with other products, there are some people who won't get the same results as others, no matter how great the product is. Hopefully you'll have better luck next time. I know this might be late, but I am a US Natural (natural for 6 years!) and I am a fan of this blog. I have been following other natural blogs outside the US and really happy to see naturals around the world blogging and making their own products. From what I read many Naturals outside the US have a hard time accessing US products (its not easy here either because it can be overwhelming or stores near you don't sell the products), but I am glad to read that this UK based natural has made her own product, that works! Great post and keep up the good work Aisha! How many years of growth is that on Senzani's daughter? I think she said since she was a teenager. Not sure of the exact number of years though. Hi aisha, I jst want to ask bwt the prices..I got mine for R350 cs apparently the R30 extra is for commission..aren't u guys supposed to pay your agents commission nd nt us? Hi there, I'm not an agent for T444Z or work for them in any way, so I don't know how the price is calculated. Please get in touch with Niche Hair Care for more clarity. Thanks. wow Aisha, you look gorgeous in that photo! So how can I get the product? Thanks sis! Hmmm…don't know about Geneva. I'll ask the contacts here if they know of the agent there. Have you checked T444Z's website? At which stores can one get it in jhb,and the price please ??? Where can I get it in East London, @ what. Price? So far so good! Been a month, got my mine from Princess Hair saloon (@R320) in Pretoria Hartfield Square for those in the area. Their ingredients are just an excellent combination and my hair is thanking me for it, my aim is length-length-length!! It is indeed “for us” and we know it’s made by a fellow black woman which gives it that extra special element! Enjoy the journey for those who are trying the product, and If you are not – what are you waiting for? Thanks for the comment! Are you seeing any difference in your hair yet? Yes this products really works wonders to my babyGirl hair, she started using it last year and result are amazing. Thank you T444Z…. Yes was there at the launch and was amazed at the models hair! So long and VERY healthy. Got myself a tub and am yet to see the results. So far its been very helpful with my itchy scalp… no more beating my head like a mad person lol… Am giving it 6 months and if there is no growth, mmm, will call Sandra personally ��. Thanks so much for the review Aisha! Lol @ "beating my head like a mad person"! It was a great event and I learned a lot. I used T444z for the first time 2 years ago and came back to it at the beginning of 2014 after my dermatologist insisted he has to start injecting into my skull as I do not see any improvements so far. Am I the only one experiencing this?